At the beginning of the Fall, Winter and Summer 680 seasons, we will open up our online portal for approximately one (1) week to take orders for 680 Spirit Wear. The opening of the online portal will be announced both via email to all registered participants at the time the order opens as well as on the 680 Facebook site. The 680 spirit wear is custom made to order and therefore once the online portal closes and the order is submitted for the season, we unfortunately cannot accept late orders. When will new stuff be put on the apparel site? All basic seasonal apparel is reviewed and modified before the beginning of each Fall season and these items will remain until the end of the following summer season. We also generally add additional items for the winter season in light of the holidays. Do the players get a T-shirt as part of the program fee? All players registered for the SUMMER season only will receive a player 680 program T-shirt with their registration. These shirts are delivered to the players at their practice session and generally arrive in mid-July once all registration information is finalized for the season. Do players that attend tournaments receive a tournament T-shirt? All players that participate in the SUMMER Junior Olympic tournaments only will also receive a tournament T-shirt that will be passed out to the players by the coaches at the tournament. For other season specific travel tournaments, please contact 680wpateamstore@gmail.com for any requests or inquiries on team or tournament specific spirit wear. Please allow as much time as possible for us to prepare and deliver these orders! GO 680!!! Can we make our own tournament specific spirit wear? Tournament teams are welcome to make handmade items to show their spirit for any tournament. For any gear using the 680 logo or official branding or that are professionally printed, we ask that you work with us and our approved vendors ONLY. At the beginning of each of the 680 seasons (Fall, Winter, Spring and Summer), we will provide all participants links to our vendor portal to order 680 suits. 680’s official suit and basic apparel vendor is Zumo. The girls’ teams have elected to order Turbo suits directly through that vendor. These links will be available for 3-5 days. The opening of the online portal will be announced both via email to all registered participants at the time the order opens as well as on the 680 facebook site. The 680 suits and caps are custom made to order and therefore once the online portal closes and the order is submitted for the season, we unfortunately cannot accept late orders. Please note that all suit sales are final. We typically have sizing kits available at the start of each season. The suits should fit snugly. As all sales are final, if you have any concerns, please consult the sizing kit. I missed the order date! What do I do now?! Unfortunately, we do not carry extra inventory, so we will have to wait for next season. 680 competition suits are required for travel tournaments, so if you are in a bind, please email 680wpateamstore@gmail.com and we may be able to figure things out. Otherwise, our team colors are red, white and blue and speedo suits should be wore in lieu of jammers or swim competition suits. When will there be a new suit design? 680 will review suit designs every year but as we try to keep expenses as low as possible, we generally try to keep a specific suit design for at least a year or two. Do I need to order caps? Players with long/longish hair should wear 680 caps under their water polo caps, and should have a white cap and a blue cap to match home and away colors. Otherwise, while not required, you can always add a cap if you’d like to show off your 680 spirit at your local swim meet! 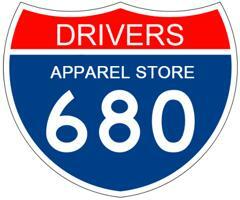 680 apparel store is closed.